Want to get dirty for good? 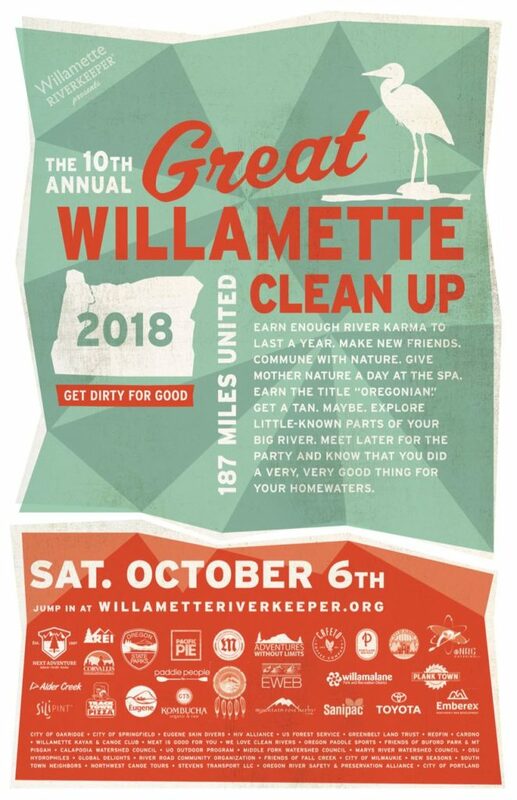 Volunteer with Willamette Riverkeeper, Greenbelt Land Trust, and partners for the annual Great Willamette Clean Up– a fun morning of on-land and on-water clean ups along the Willamette River. Then join the afternoon After Party at Mazama Brewing for great food and free beer. Plus you have the chance to win prizes! For questions about the Peoria to Crystal Lake paddle with Greenbelt Land Trust, email rebecca@greenbeltlandtrust.org or call the GLT office at (541) 752.9609. Additional details will be emailed upon registering.